No matter what sort of towing business you are—repossessions, auto salvage, impound, or roadside assistance—you need to be fully insured. So where do you start? Recovery business-owners often find they get the best advice on insurance coverage from real-life insurance agents. With an agent, you can learn which coverages are essential to your business and which coverages you can do without. To get in touch with an agency in your state, simply fill out this form. We connect you with three agents who each study your information and offer you a distinct quote. You can review their offers and decide which coverage is right for you. There are different types of coverages out there that relate to every aspect of your recovery business. The first thing you’ll need to insure is your fleet. Most recovery fleets are comprised of a many types of vehicles. Underlift wreckers, flatbeds, single axle, double axle, triple axle—your recovery insurance coverage will take care of all these vehicles under a single policy. Automobile Liability – Everyone makes mistakes. If you or one of your drivers is at fault during an accident, automotive liability coverage pays for any damages done to other people or other people’s property. Bodily Injury – Pays for things like medical expenses. Personal Damage – Pays for things like car repairs. Physical Damage – You need to make sure your fleet is protected. If someone gets into a crash, you need to be able to replace that vehicle. Physical damage insurance takes care of that. Collision – Pays for repairs or a replacement vehicle in the event of an accident while driving. Comprehensive – Pays for damage due to other sorts of things, like vandalism, theft, or weather damage. On Hook Coverage – This insurance protects the car that you’re towing. 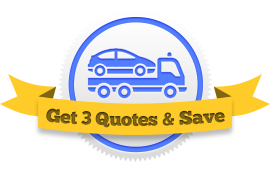 If the vehicle experience any damage while being towed, this coverage pays for it. In addition to automobile insurance, you have to insure your business against things that happen off the road. When you speak to your agent, he will ask you details about your business, like when you’re open, how many people work for you, and where most of your revenue comes from. This will help your agent learn a little more about you and your company, ensuring that you get the best quote possible. Garage Keepers Legal Liability – While a vehicle sits on your property, it’s your responsibility. This insurance protects others’ vehicles from damage while in your garage. General Liability – There are certainly other business-related accidents that can happen outside of car wrecks. This insurance protects your business from accidents that occur on your property and more general liability issues like slander and libel. Workers’ Comp – If your employees are hurt while working, this coverage pays for their medical expenses and their paid leave. Umbrella/Excess Liability – An umbrella policy goes above and beyond your other coverages. It protects you in the rare cases where your other coverages fall short. The best way to shop for recovery truck insurance is to compare multiple agents. That way you know you’re getting the best policy. Use this form to get in touch with three agents at once and compare quotes for yourself!